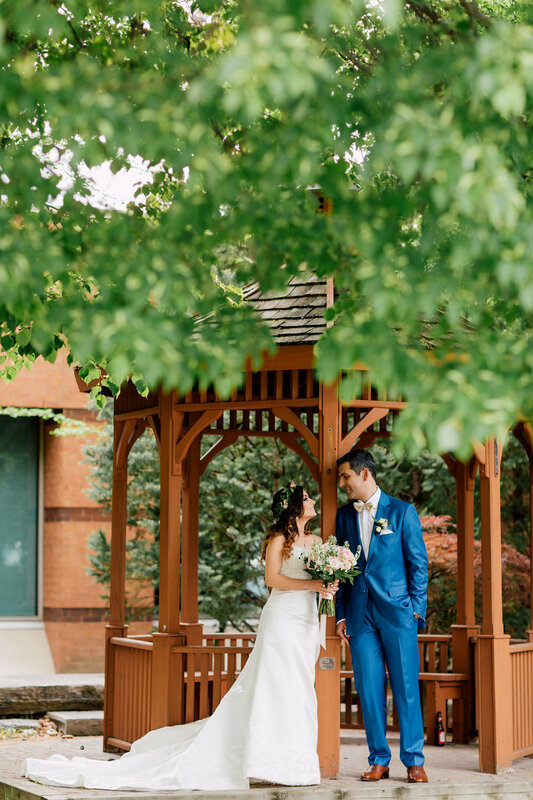 Alyse and Eddie’s intimate wedding took place on a perfect summer day on the lush grounds of McLean House at The Estates of Sunnybrook. 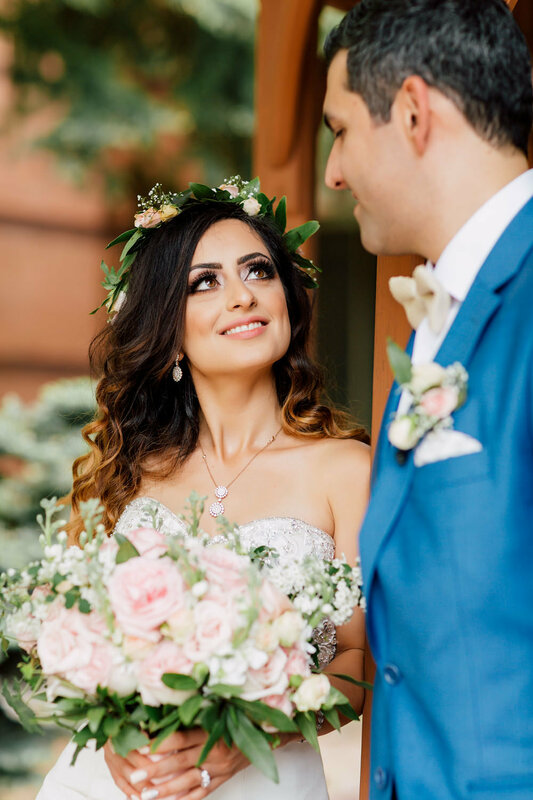 Set against the perfectly green grounds the wedding palette of cream, lavender and deep aubergine brought just the right infusion of gorgeous colour to the space, expertly captured by the wonderful Lesley of Pure Aperture Photography. 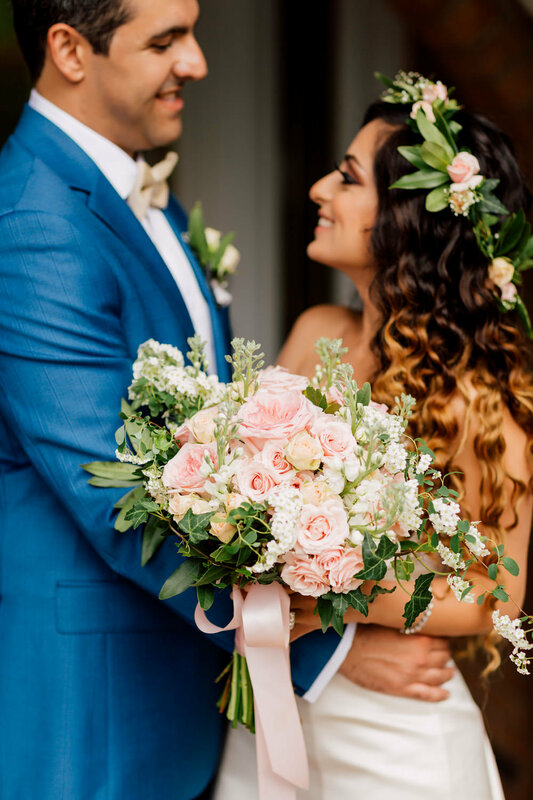 Combining beautiful seasonal blooms such as dahlia’s, roses and stock flower with botanical foliage kept with the garden theme and added just the right amount of colour and texture to the venue. 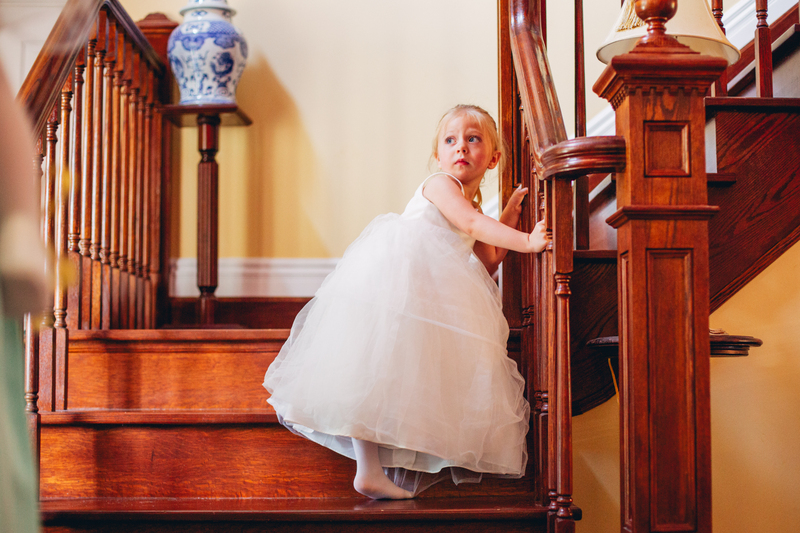 We absolutely fell in love with the rich purple of the bridesmaids gowns, worn by the couples three daughters. 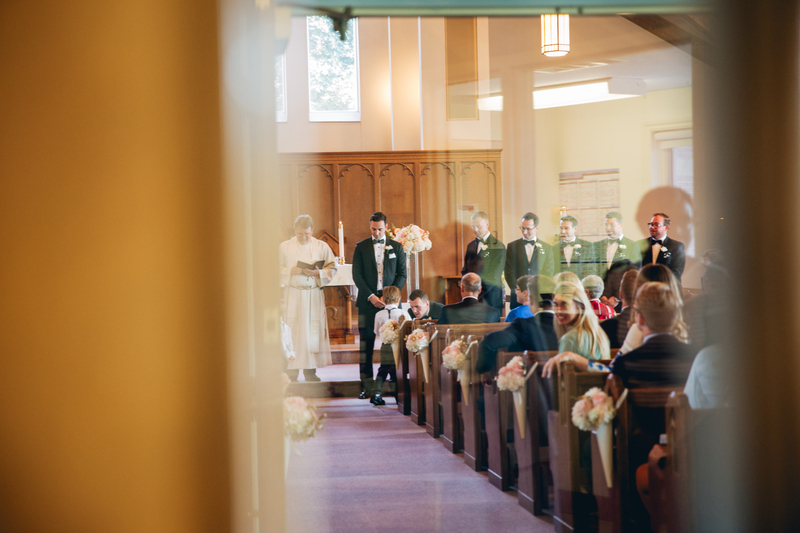 It was so special to see this family unite together, since all of their children stood up as attendants for them. 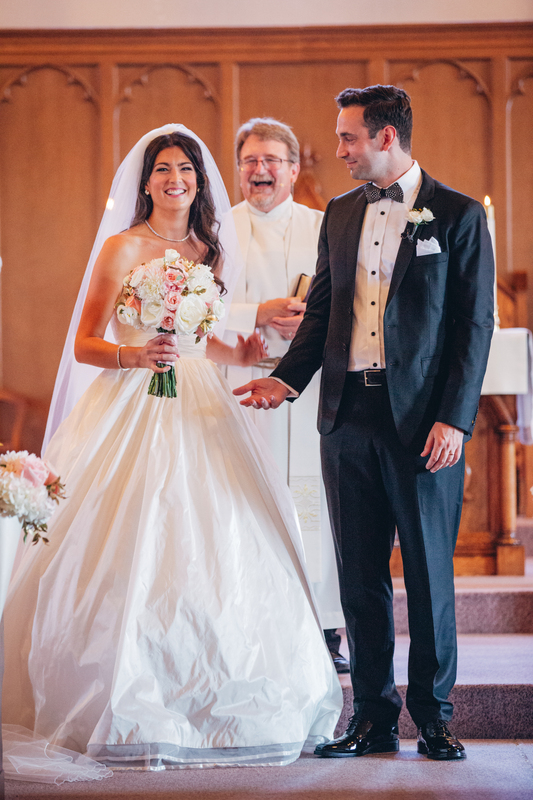 Needless to say, this is one good looking family and one beautiful wedding we were so thrilled to be a part of! 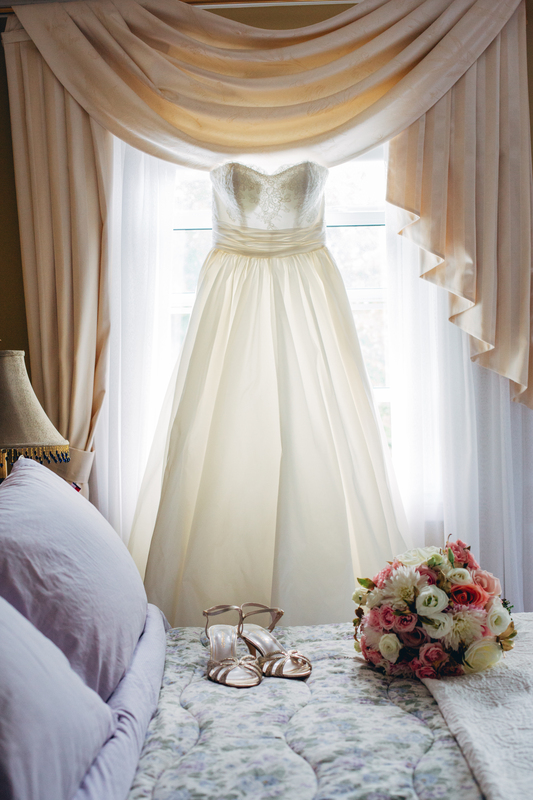 Cultural traditions have long since had a place in everything wedding related. 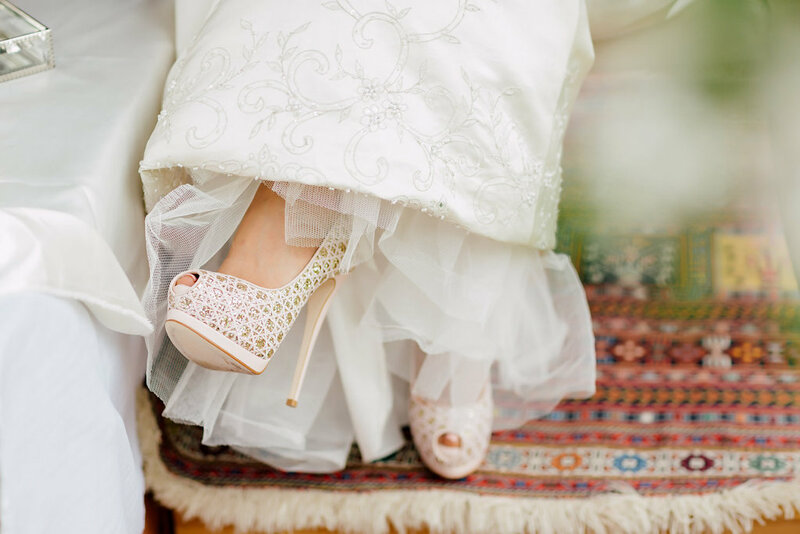 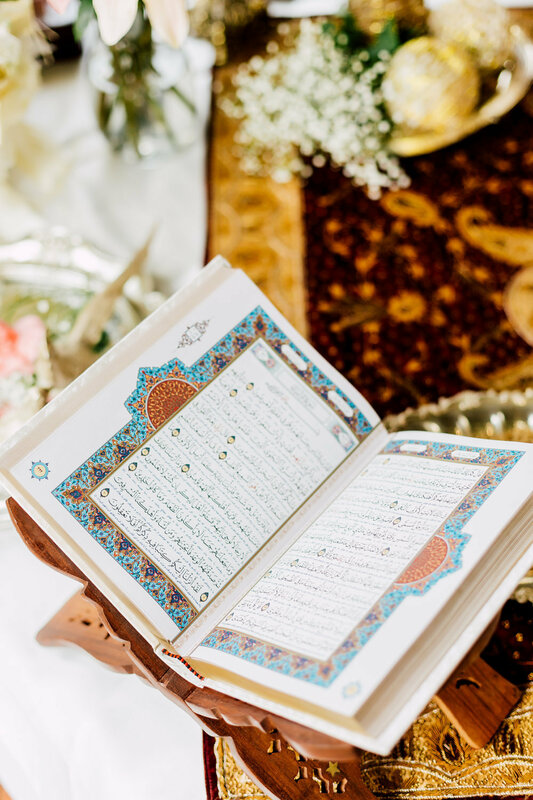 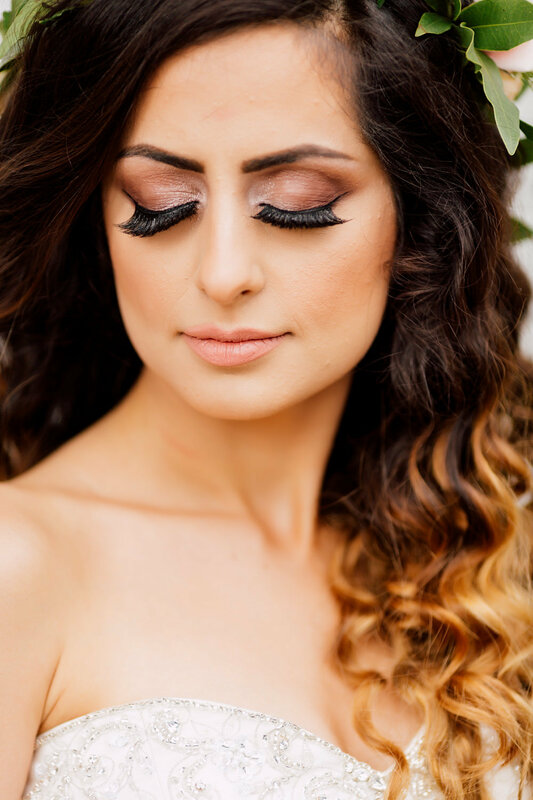 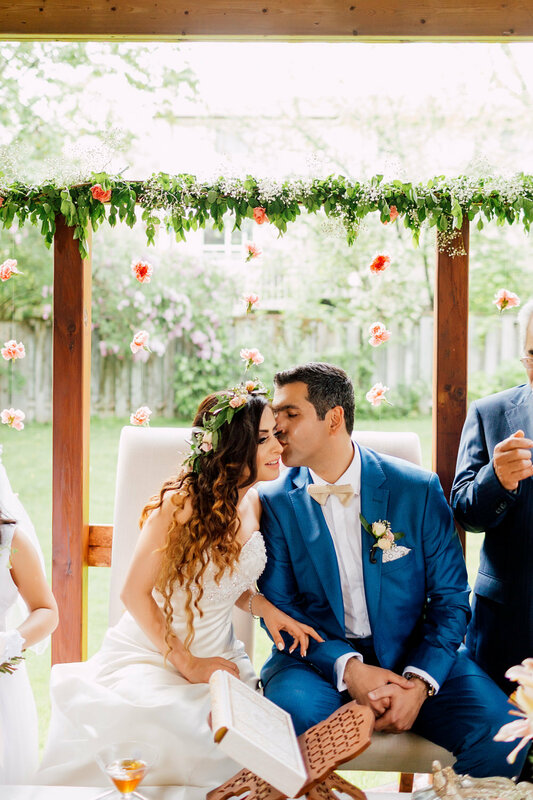 When Sara & Vahid approached us for floral design services for their special day, we were enthralled by the Persian culture and the vast array of traditions in the ceremony. 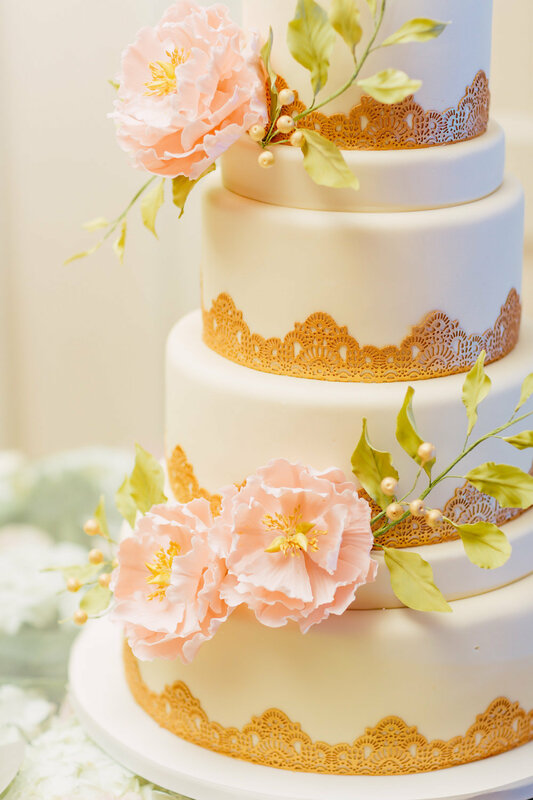 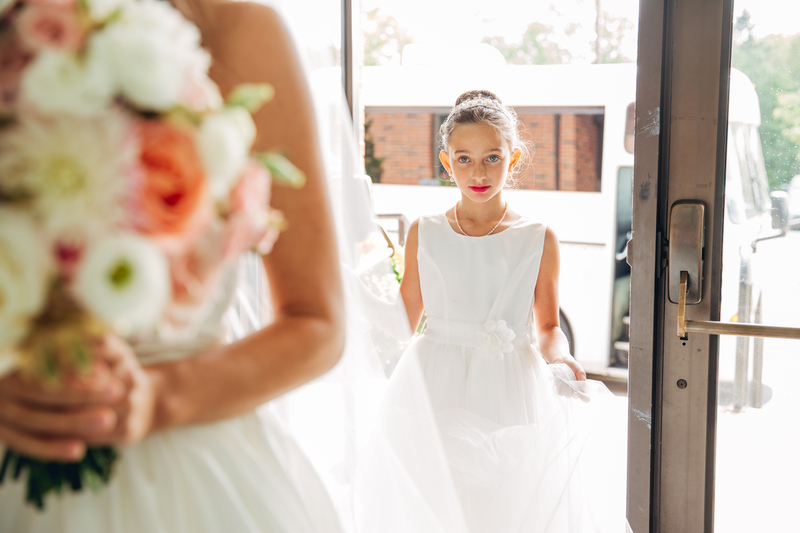 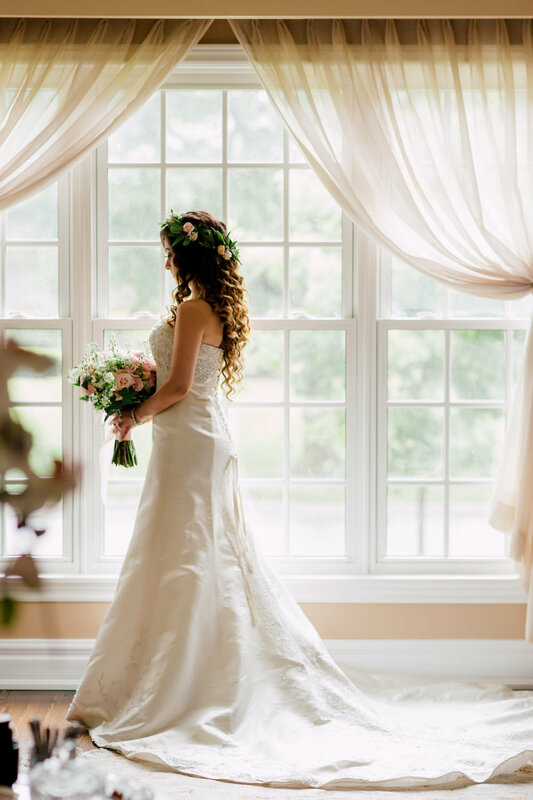 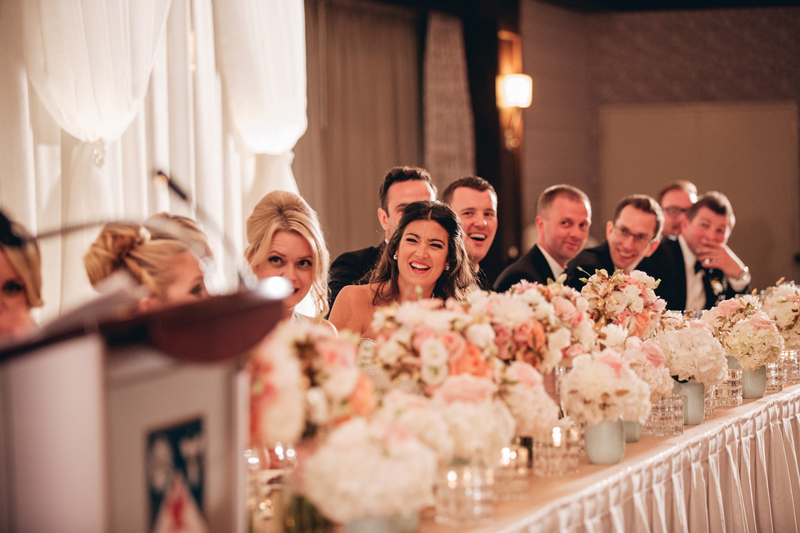 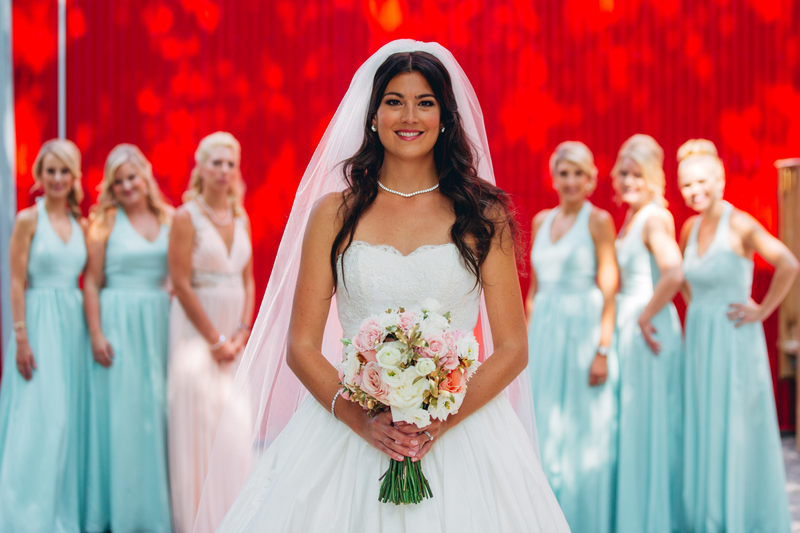 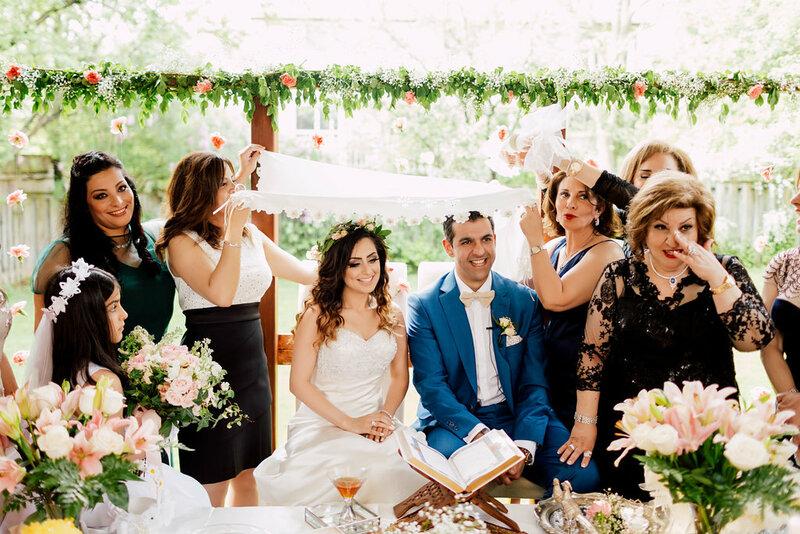 Taking place at the Bride’s family home on a beautiful spring day, the ceremony was steeped in tradition and meaning along side close family and friends. 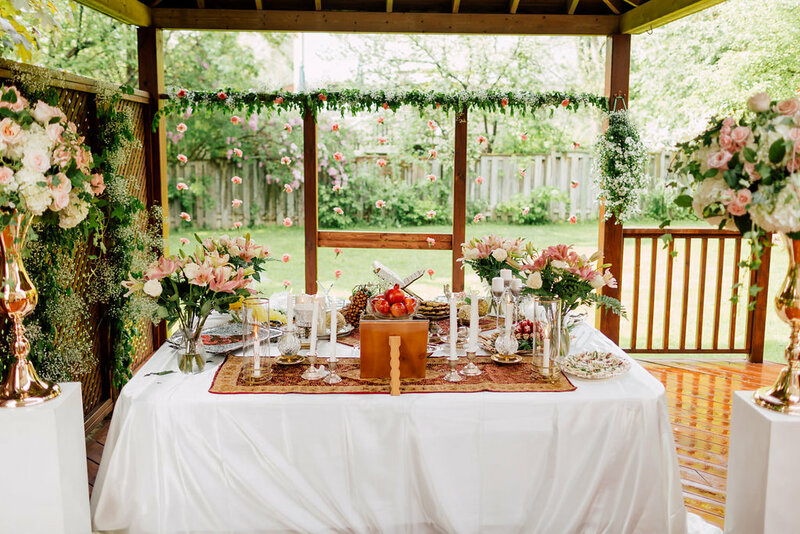 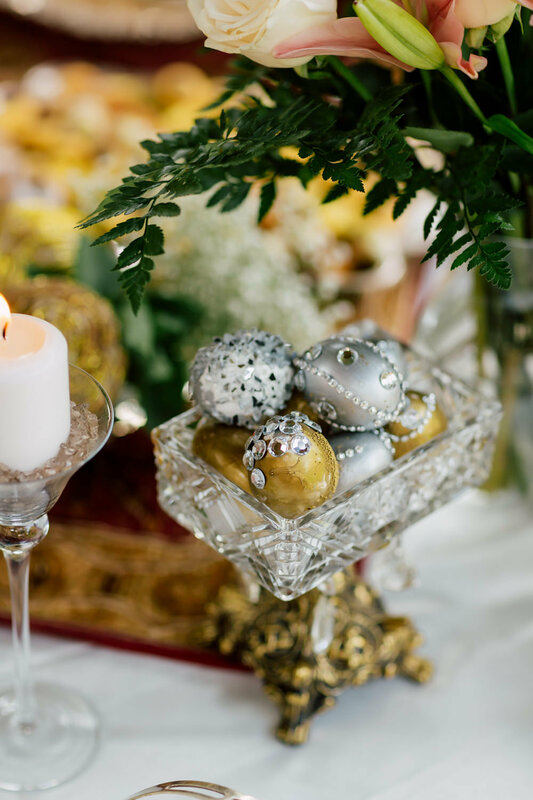 The Sofreh was lain with an abundance of fresh seasonal fruits, sweets, coins and other symbolic items pertaining to the ceremony that has been practiced for thousands of years. 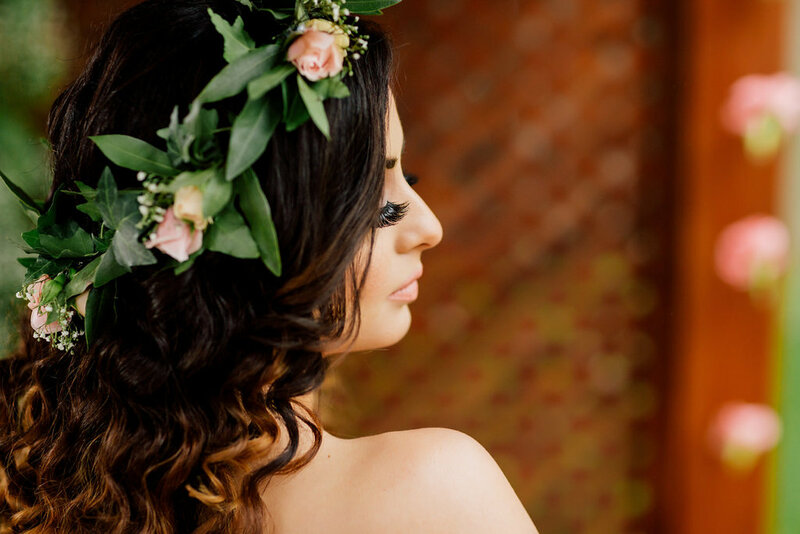 Sara was radiant in her custom fresh floral crown and matching botanical bouquet of blush spring blooms which perfectly complimented her exquisite hair and make up, provided by the talented ladies of Fancy Face Inc. After the ceremony guests joined the couple for the reception at Le Parc Banquet Hall where the showstopping design element was surely the stunning three tiered cake floating atop a bed of fresh flowers. 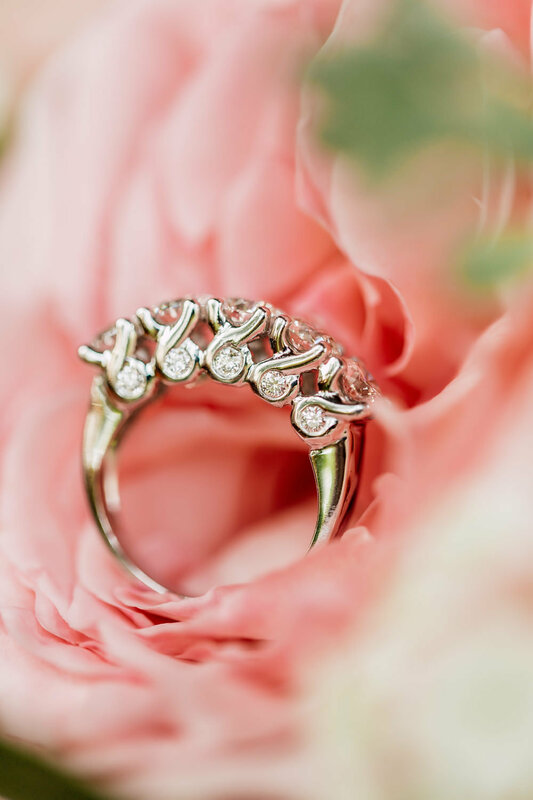 Beautifully captured by Purple Tree Photography the day was filled with family and friends celebrating a beautiful couple’s new beginning together. 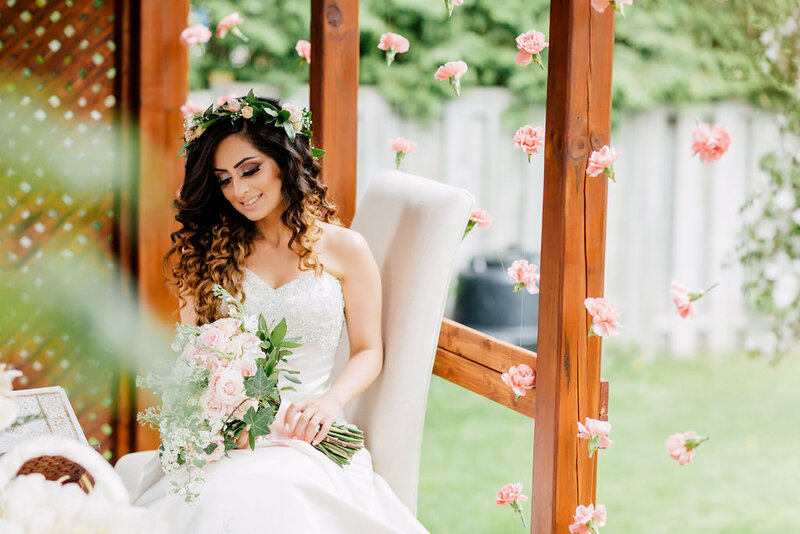 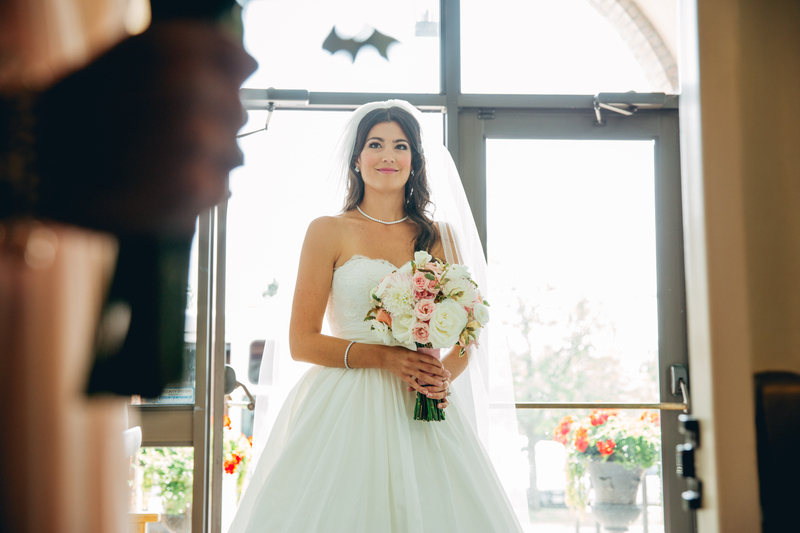 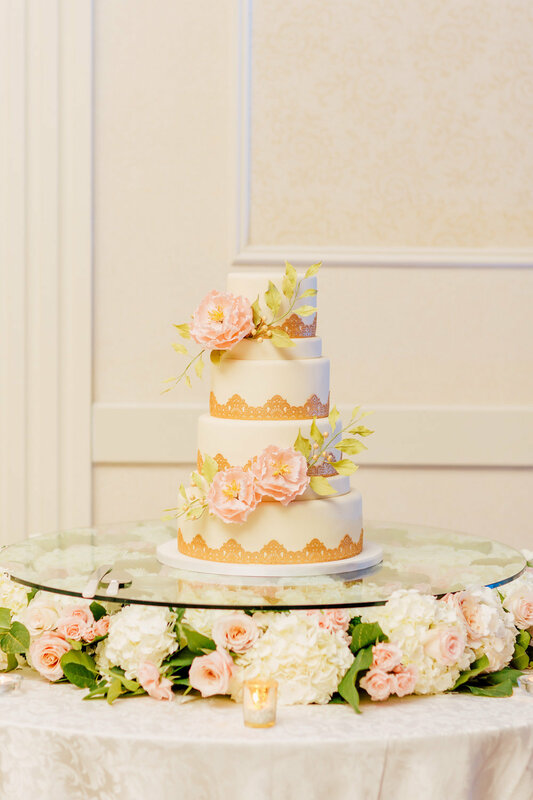 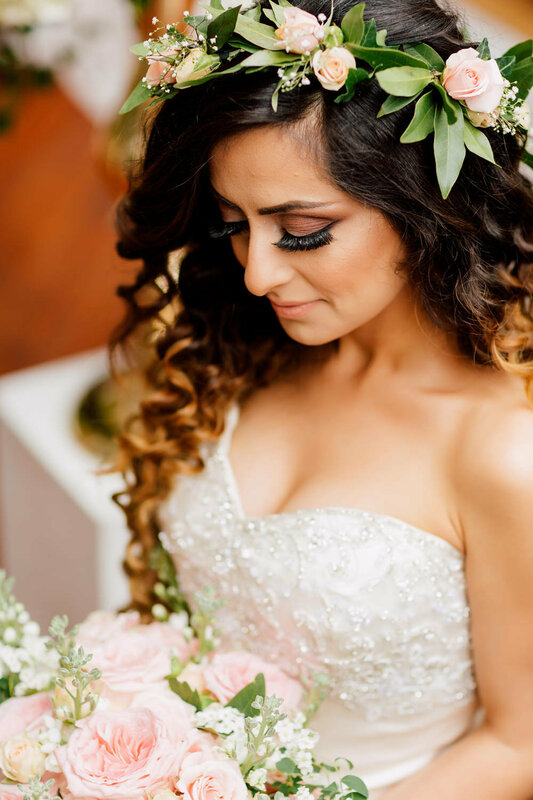 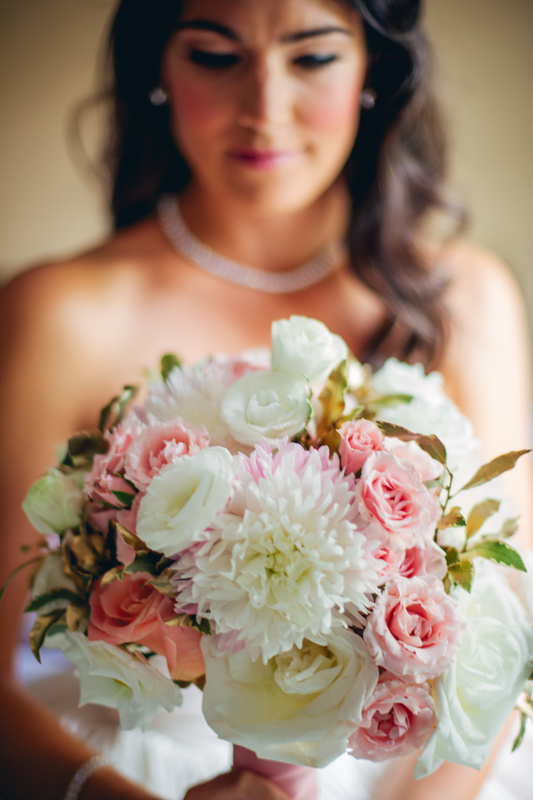 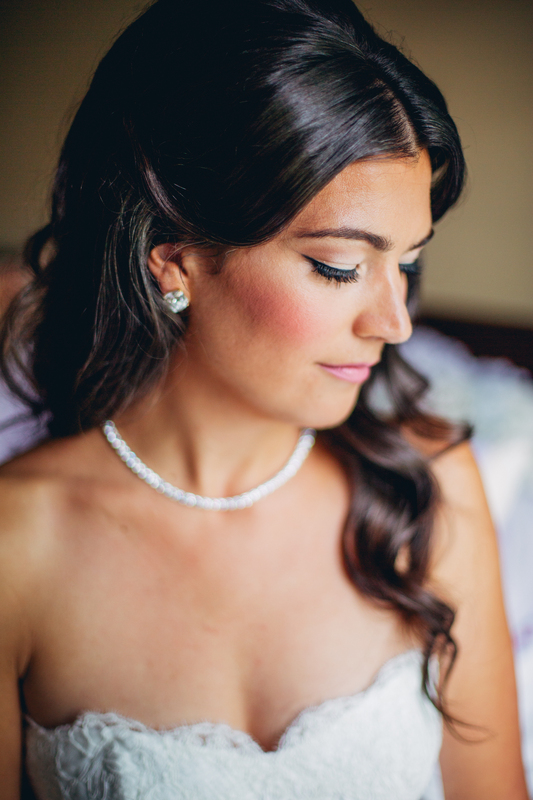 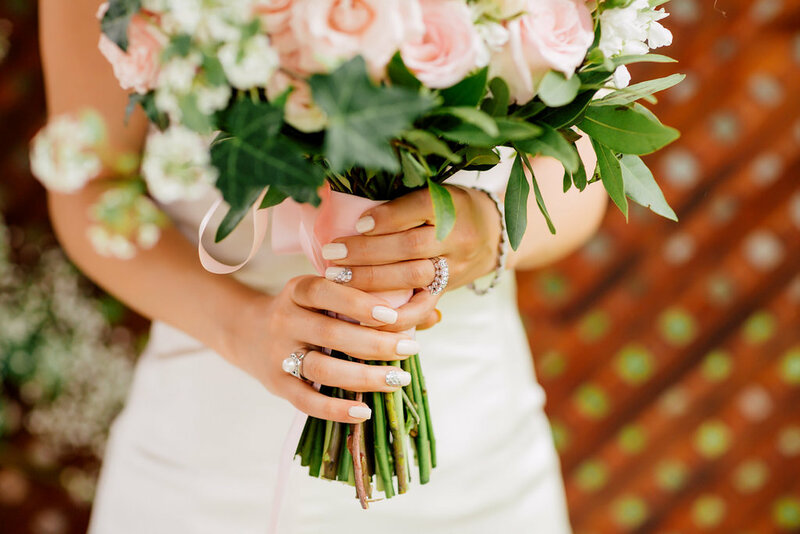 Never have we met a sweeter bride than Victoria, who enlisted us to create some pretty flowers for her mid summer wedding at The Granite Club, Toronto. 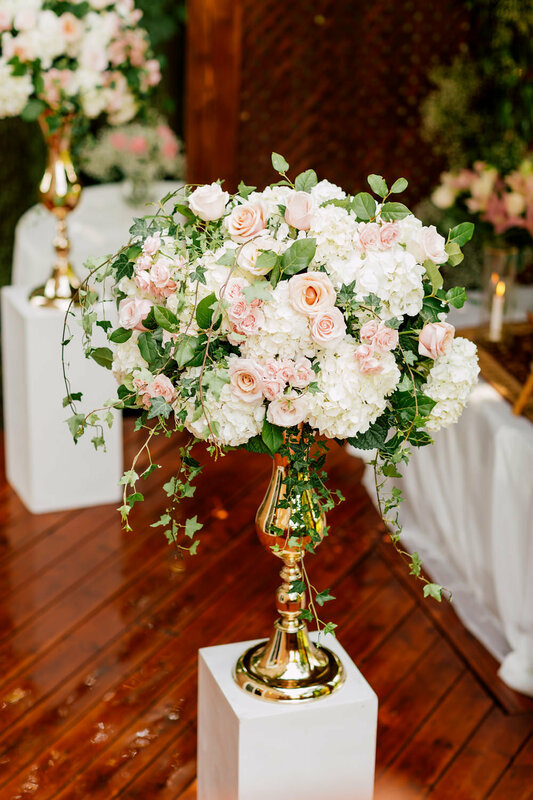 Working with a soft palette of peach, blush pink, ivory and robin’s egg blue we executed a design scheme with fluffy hydrangea, full roses, seasonal dahlias and gold tinted greenery, beautifully captured by Without A Hitch Photography. 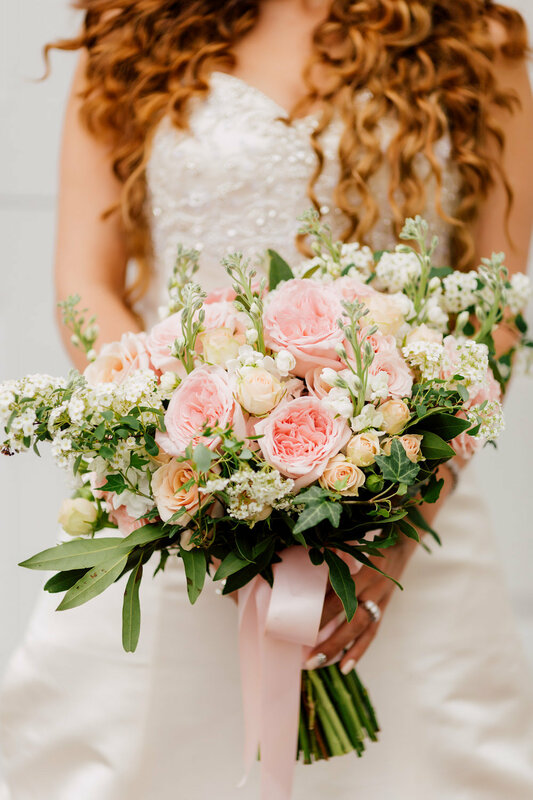 Victoria’s bridal bouquet combined lush summer dahlia’s with peach and blush roses, spray roses, white lisianthus and gold tinted greenery. 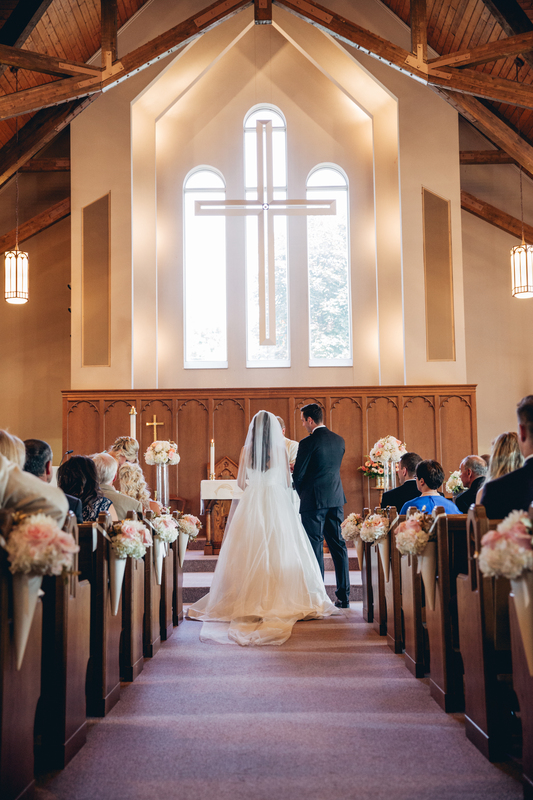 The ceremony, held at St. Philips on the Hill Church was awash with natural light and accented with pretty flowers lining the aisle. 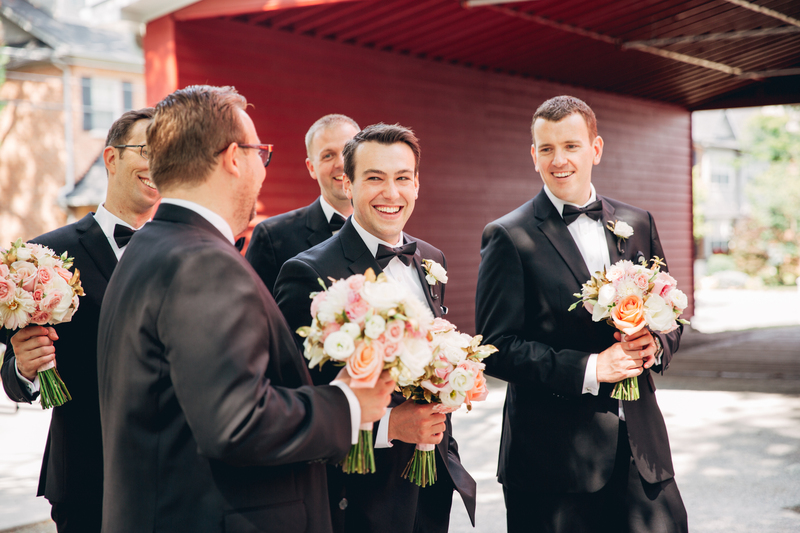 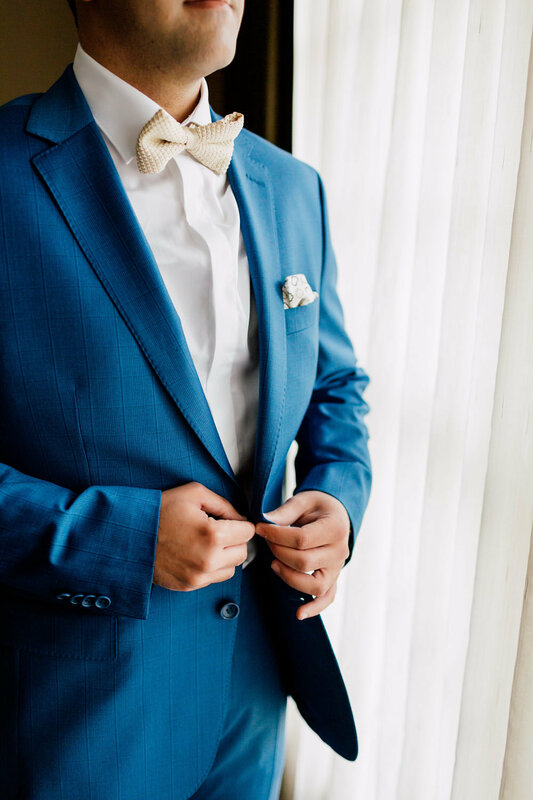 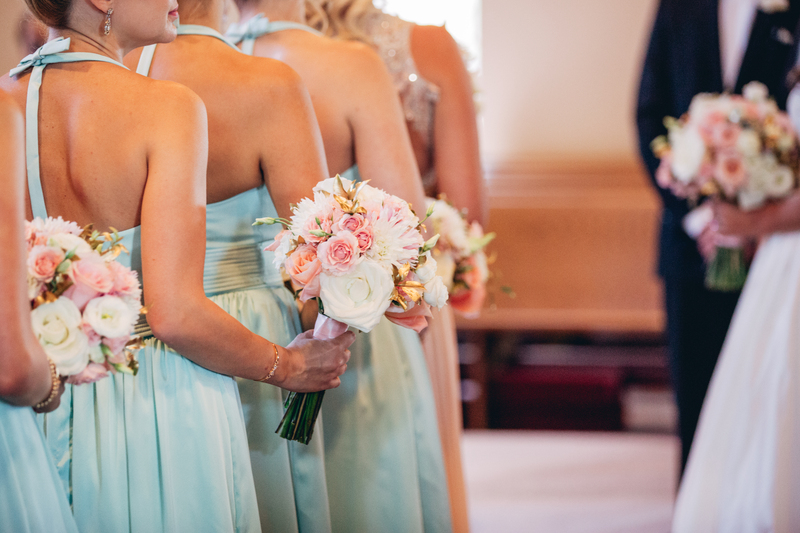 Bridesmaids clad in robin’s egg blue gowns carried bouquets of lush blooms, while the groomsmen looked daper in formal black suits. 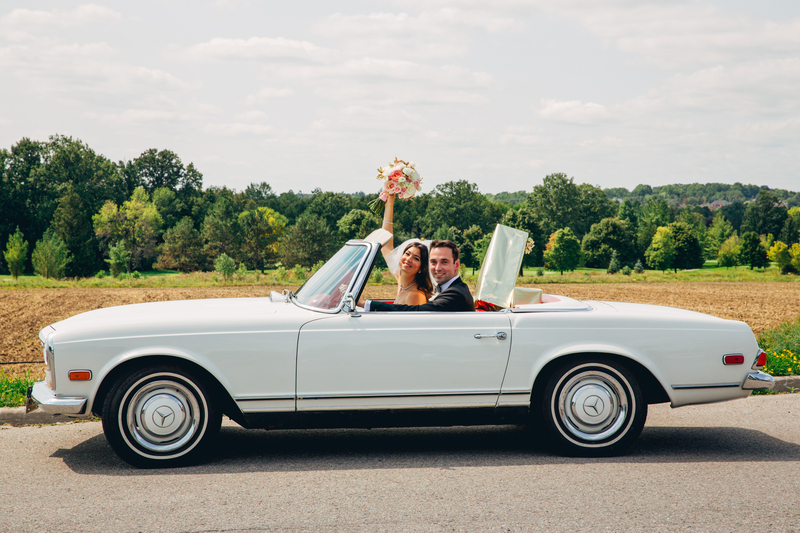 The happy couple whisked themselves away following the ceremony in a white vintage convertible Mercedes. 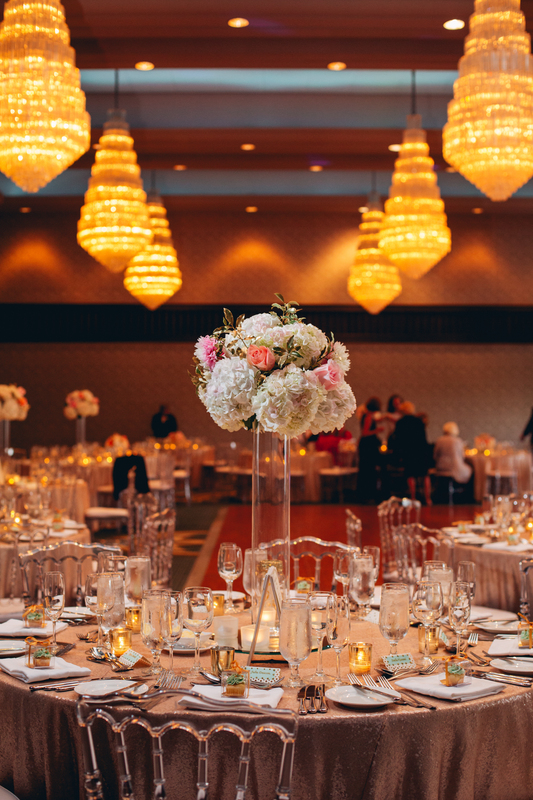 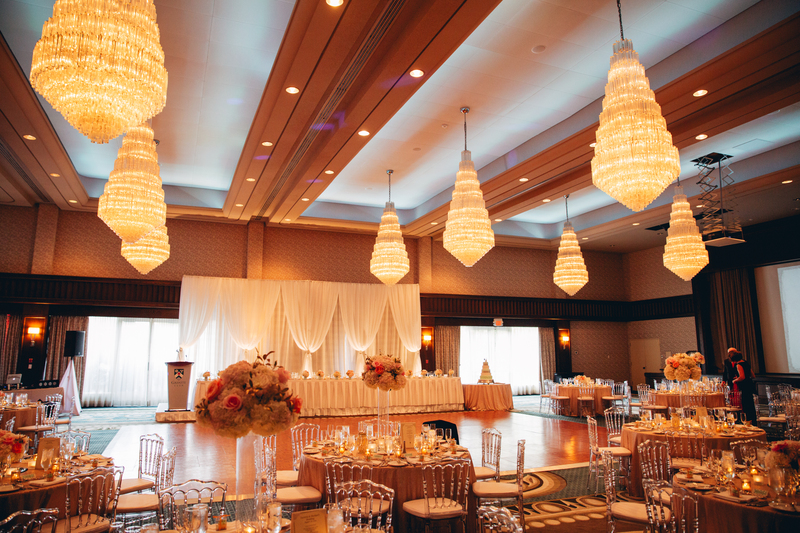 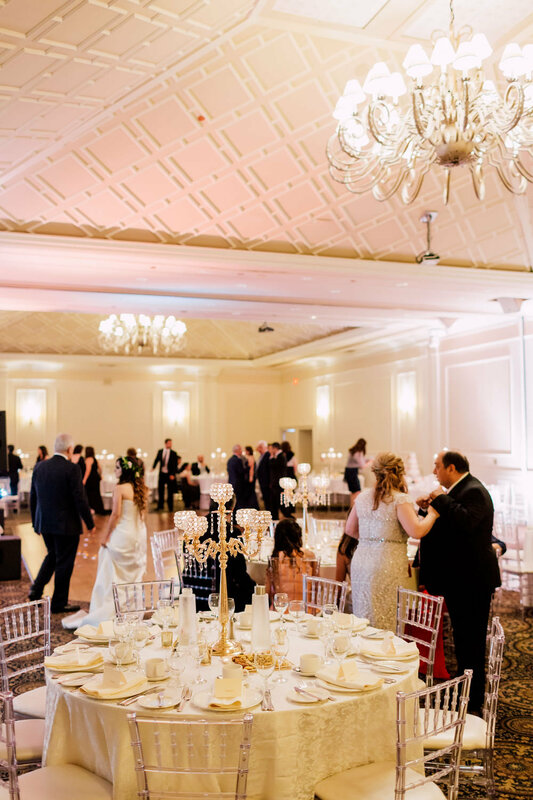 The wedding reception took place at the elegant Granite Club Toronto showcasing a ballroom with stunning crystal chandeliers. 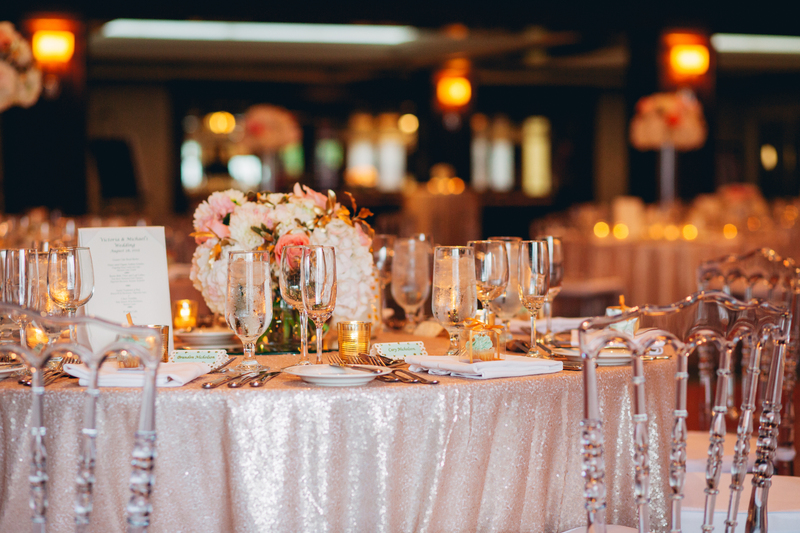 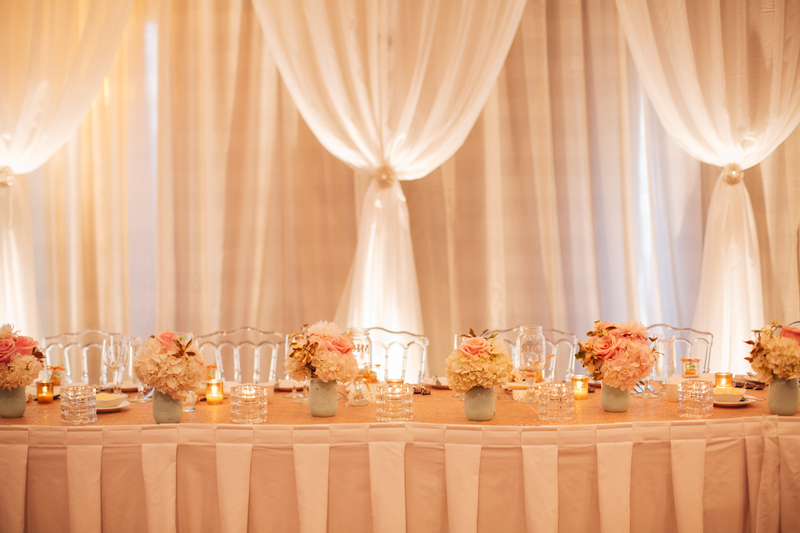 Alternating low and tall centerpieces of ivory, peach, blush and gold flowers complimented the matte blush sequin table linens. 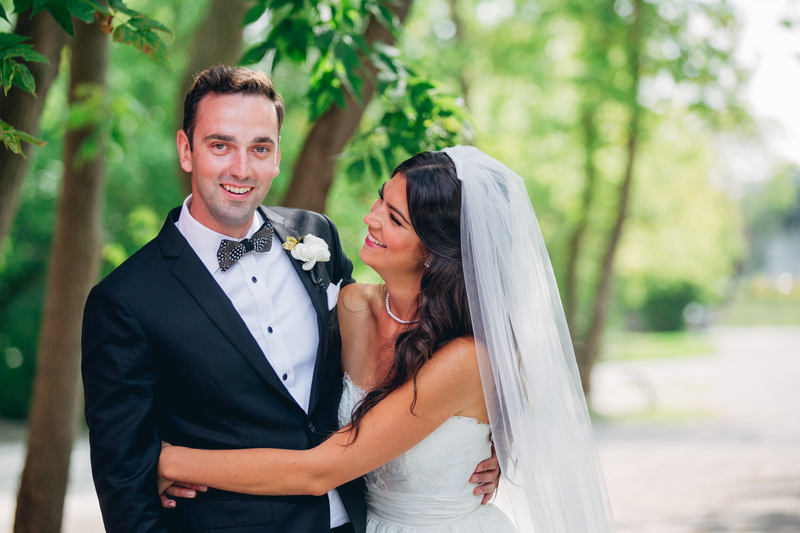 We wish Victoria and Mike all the love and laughter in the world for their lives together. 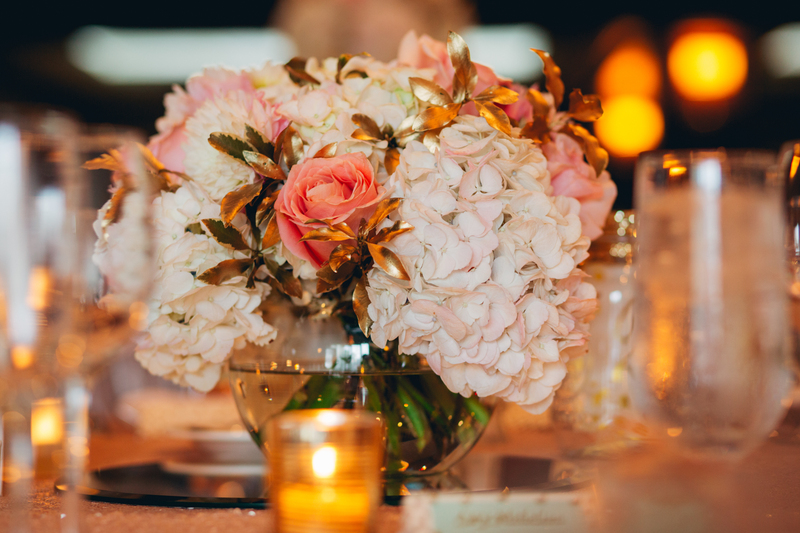 To find out how we can help design gorgeous florals for your special day contact us today for a free consultation!